The Liverpool Echo is reporting that at 2pm today Cain’s bankers turned down the request for ongoing funding. Given the news in the general economy, this has been an increasingly likely outcome. The Dusanj brothers have given Liverpool a wonderful emblem for its recovery since 2002 and really lifted the mood in the city with sponsorship of Capital of Culture and The Tall Ships, so this is going to be a significant blow. But what next? With shares suspended and a winding up order set to fall on August 12th the future looks very bleak for the company and its 1,000 employees. My own feeling is that unless some alternative source of funding comes along–and there’s not much chance of that–the company will be taken over and broken up. 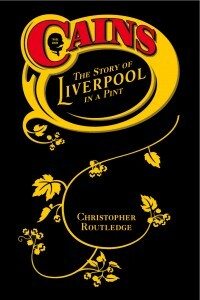 I don’t think we’ve heard the last of Cain’s beer in Liverpool, but what chance it being brewed here? As far as I can work out the Stanhope Street site has had a brewery on it since at least the mid-1700s, which makes it one of the oldest breweries in Britain. This is a very sad day indeed. Edit August 2nd: Lots of coverage over at the Daily Post. The fight goes on.